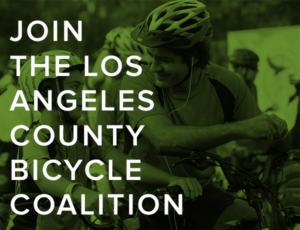 It’s penultimate day of the 3rd Annual BikinginLA Holiday Fund Drive! Just two days left in this fundraising campaign, the only time all year we beg shamelessly for your financial support. Thanks to Jennifer S, Katherine D and Richard S for their generous contributions to help keep this site coming your way every day. And to everyone else who has opened their hearts and wallets over the past month. A 21-year old motorcyclist was killed by a road raging driver in Gardena yesterday, and the driver arrested on a murder charge. One life has ended far too soon, leaving a hole that can never be filled in the lives of his loved ones. And another life has been thrown away, facing years behind bars. If you bought a Brompton in the last three years, your bike could be subject to a recall. Forty-one Dana Point children got new bicycles, locks and helmets through an earn-a-bike program run by the YMCA. The family of a fallen bicyclist donated 13 bicycles to troubled Kentucky kids in memory of the man, who was killed by a drunken hit-and-run driver; his killer is serving a 35-year sentence for the crime. An Ohio counseling center gave 50 bicycles to children with a history of abuse, neglect, and abandonment. 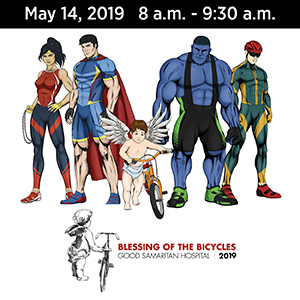 A Georgia Baptist church gives 160 new bikes to local kids as part of their annual bike giveaway. Streetsblog’s Joe Linton samples LA’s three dockless bikeshare systems, with LimeBike coming out the clear winner. Despite the anti-road diet hysteria on LA’s Westside, the Eastside’s Alhambra Ave will be getting a road diet and new bike lanes in the El Sereno neighborhood; work is scheduled to begin next month. 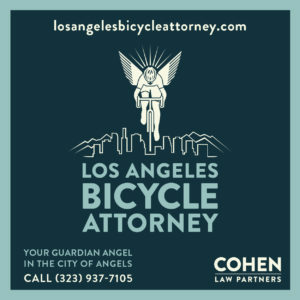 A Burbank bike rider finally achieves his goal of getting a contestable ticket for riding a bike on the Mariposa Bridge leading to Griffith Park, where equestrians have succeeded in getting bicycles banned. Long Beach will offer a free bike valet at their monthly 4th Fridays on 4th Street tonight. Another great piece from Peter Flax, who created his perfect year on the bicycle by cutting the tech cord and embracing his life as a bike commuter and advocate. A San Diego weekly issues a call to arms to fight a proposal to allow bicycles in wilderness areas, accusing a mountain biking group of working with Republicans to roll back protections of public lands. Although they seem somewhat confused about what a wilderness area is, since neither of the places they mention would be affected by the bill. The CHP has found the damaged Prius that was involved in the hit-and-run that left a Fallbrook bike rider seriously injured last week, but haven’t been able to locate the driver. A Visalia restaurant owner thanks the strangers who came to her aid when she was hit by someone riding a bike on the sidewalk; she is recovering despite being knocked unconscious in the crash. Sad news from San Jose, where a bike rider was killed in an early morning hit-and-run as he rode in a bike lane. A Berkeley cycle track made People for Bikes list of the country’s best new protected bike lanes. Sad news from Santa Rosa, too, where a 67-year old man died nearly three days after his bicycle was rear-ended by a driver. Oher cycling groups jump in to help after the Santa Rosa Cycling Club lost $150,000 worth of bikes and equipment when a wildfire destroyed the home they were renting for their headquarters. Bighearted Chico fifth graders spent a month refurbishing old bicycles to give to kids through the Boys & Girls Club. After Seattle bicycling rates drop .3% to a 2.6% mode share — still a number most cities, including Los Angeles, would envy — a radio host says bicycling will never catch on in the hilly city, despite “placating militant bicyclist activists.” Or maybe they’re just average people who want a safe place to ride their bikes. A Chicago bicyclist says the way the city designs protected bike lanes makes them death traps for bike riders. Treehugger says bike riders in New York and Toronto are dead because trucks aren’t required to have side guards. Business owners in Queens, New York blame a new bike lane for a drop in sales. Pitch Perfect star Elizabeth Banks is one of us, shown riding an NBC Universal bike in a New York Times profile. Life is cheap in Canada, where the death of a 17-year old girl riding her bike is officially considered just a tragic accident. Calgary bicyclists say riding in foot-deep snow is no big deal. Meanwhile, Los Angeles drivers insist that no one will ride a bike in a sunny SoCal winter. A letter writer says he can spot bike thieves from his seat at a popular Canadian diner in the middle of the night; he knows they must be bike thieves because they ride a different bike every night, and don’t use lights or reflectors. After Canadian police recover a bicycle stolen from a British bike tourist in Niagara Falls, he donates it to a woman whose family helped him when he was stranded in the town. Life is cheap in the UK, too, where a killer driver walks with just probation in the death of a bike rider, despite being convicted of careless driving. The head of a British bike advocacy group was infuriated to have his own folding bike stolen from a train while he was talking bike safety with a stranger. Caught on video: An Irish bicyclist is clipped by a driver after failing to signal or look before swerving into traffic. Solar-powered ebikes outfitted with trailer chairs are serving as ambulances in Namibian villages. In what has become an all-too common crime in South Africa, a cyclist was pushed off his bicycle and beaten with a pipe by robbers who took his bike and cellphone. 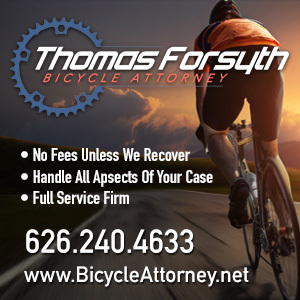 An Aussie rider received a six-figure court judgement three years after he was forced off the road by a truck driver, who was never identified; now fully recovered, he’s planning to ride as part of a two-person team in next year’s Race Across America, aka RAAM. An Australian website explores what bikeshare programs need to succeed. A transgender Canadian cyclist is suing cycling’s governing body after she was forced to undergo humiliating gender verification exams, contending that rules allowing unqualified people to conducts the tests amount to a violation of human rights. VeloNews names Dutch pro Anna van der Breggen their female cyclist of the year. Chris Froome’s reputation is tarnished forever according to Lance Armstrong, who should know. Suspended New Zealand cyclist Karl Murray will have to restart his nearly completed two-year doping ban after he illegally coached two young riders. Do you really need a concierge to tell you to ride a bike on Christmas Day? If your significant other won’t ride with you, don’t take it out on the koi. And yes, car makers really are trying to kill us. Please accept my best wishes for a very happy holiday. And stay safe out there this weekend. Remember that many drivers will be drinking, and those who aren’t are likely to be more focused on finishing their shopping than on looking for you. I’ll be taking Monday and Tuesday off, but will probably be back with a post or two next week.